Welcome to Jump TNT! This form is for new members. Please provide your information below and click Submit when complete. Your credit card will NOT be charged until office staff reviews registration for any adjustments needed. Click on Search to find another class. I hereby give permission to Jump TNT staff to render first aid in the event of any injury or illness. 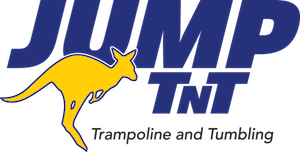 If Jump TNT staff are unable to reach a parent or guardian, they may seek medical assistance if deemed necessary and to transport to a medical facility or to call an ambulance. The parent or guardian (or participate if 18 or older) also agrees that they themselves will be responsible for any financial debt incurred by said action. I understand that my/my child's photograph and/or video may be taken during the course of class instruction or during a special event. I hereby grant my permission for the resulting photograph and/or video to be used for any and all publicity, advertising, website, and printing purposes. Please use comment section to let us know if there is a reason your child's image cannot be used for this purpose. REGISTRATION FEE/MEMBERSHIP FEE: There is an annual family registration/membership fee of $60 which is non-refundable and not pro-rated. The fee is due each year on your anniversary date. (Camps and special events are exempt from this fee). TUITION: Tuition is due on the 1st of the month and considered late after the 10th of each month. Tuition is based on enrollment (guaranteed spot) in a class. Tuition is a monthly fee (not per class). Our year is based on 48 weeks of classes with the yearly tuition averaged over 12 equal monthly payments. Some months may have more than 4 weeks and some may have less than 4 weeks, but the tuition amount remains the same each month. LATE FEE: Tuition is due on the 1st of the month and considered late after the 10th of each month. For recreational and hourly classes, a $10 late fee will be added to your balance if tuition is not received by the 10th. For team members, the late fee is a percentage (refer to contract). ATTENDANCE/MAKE UP: We do not offer credits or refunds for classes missed. Your tuition is based on enrollment (guaranteed spot) in a class and not a reflection of attendance. We will allow ONE make up per month per class within one month of the absence. Make ups should be scheduled with the front desk in advance. DROP POLICY: To permanently withdraw or temporarily drop (freeze your account), a written 2-week notice must be received by the front office. A Drop Notification Form (available at the front desk) or email of drop to info@jumptnt.net may be submitted. Verbal communication (either via phone or with the instructor/staff) is not considered a valid withdraw notice. Return to the original day/time of class is not guaranteed and is subject to availability. DISCOUNTS: We offer discounts for families with multiple students enrolled in classes and for students enrolled in multiple classes. See below. Sibling Class Discount - The child with the highest class tuition pays regular listed amount and each child of lessor class tuition will receive a 15% discount. (Note: for competitive team members, discounts should be arranged on a case-by-case basis with the Director). Multiple Class Discount - Students enrolled in multiple classes get a $20 discount on each subsequent class of equal or lessor value.